Announcing Toge Productions Indie Publishing! Toge Productions has been around for more than eight years. What started as a leap of faith born from the passionate founders in 2009, now become one of the biggest game studios in its home country, Indonesia. But being one of the biggest in a developing country such as Indonesia would be nothing compared to becoming an ordinary game studio in a first world country. That is why, on our eighth years surviving the industry, we want to make a change in how we work. Instead of solely developing games, we will expand ourselves to something new for us, and that thing is game publishing. Starting a new team for publishing might be considered as a bold move for some people, but we believe this will be the best directions for Toge Productions. Of course we will not abandon our status as a game developer, in fact, as you read this blog post, our experienced team, along with some new team members, are working hard to finish Infectonator 3. Do wait for the updates about this game soon. So, what kind of games will Toge Productions publish? And why? “I believe that Indonesian developers have the capability to produce high-quality games, but most of the time the talents from this country are faced with the problems of development fund and distribution channel. Toge Productions as one of the senior studio in the country decided that we can actually help the developers to pursue their passion and prove everyone that a game from a developing country such as Indonesia has their place in the global game industry,” explained the CEO and founder of Toge Productions, Kris Antoni. One of our mission as a company is to help grow and nurture Indonesia’s game industry. To achieve that, we need to make sure that Indonesian game developers can realize their idea into a fully released game, and bring those games to global market properly. Of course, we will not limit ourselves from publishing games from other places around the globe. But for now, we will focus on helping Indonesian game developers targeting all kind of audiences around the world, before moving to regional and global level. Toge Productions will help the developer by giving support fund for the development of the game, with the amount varies depending on the size of the game and the agreement between the publisher and the developer. Our team will help the developers that work with us in the game design, art, technical aspect, and quality assurance. The support will not only be limited to consultancy but also covers human resources from our team if necessary. Toge Productions will also help developers dealing with marketing and PR stuff, ran by the newly founded team of consultant and former game journalist with experience of working at the regional level across South East Asia. 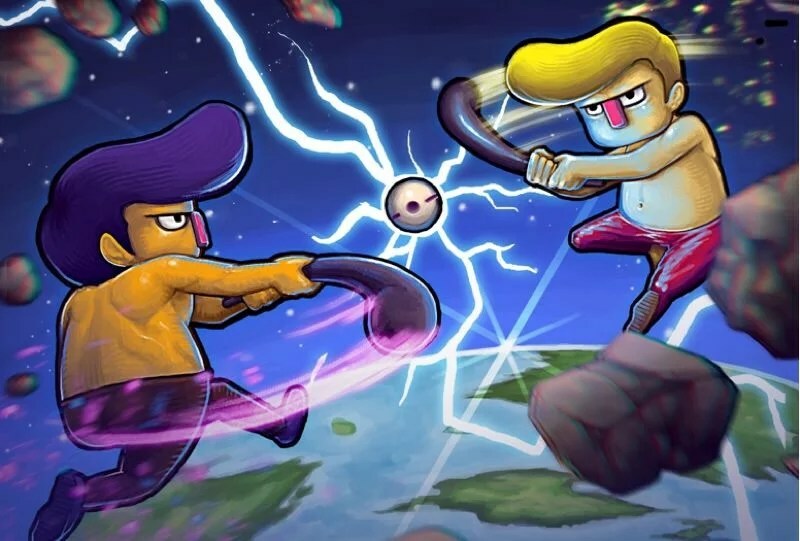 Ultra Space Battle Brawl is a couch party game that mixes Pong, fighting game, and the spirit of having fun together in an 80s over-the-top aesthetic infused with steroid. Play it with your best buddies, rival, family, even your arch enemies. With simple control and concept that is easy to learn but hard to master, the game focuses on bringing everyone together to enjoy moments of fun. Rest your thoughts and enjoy the adrenaline of short yet highly replayable experience. 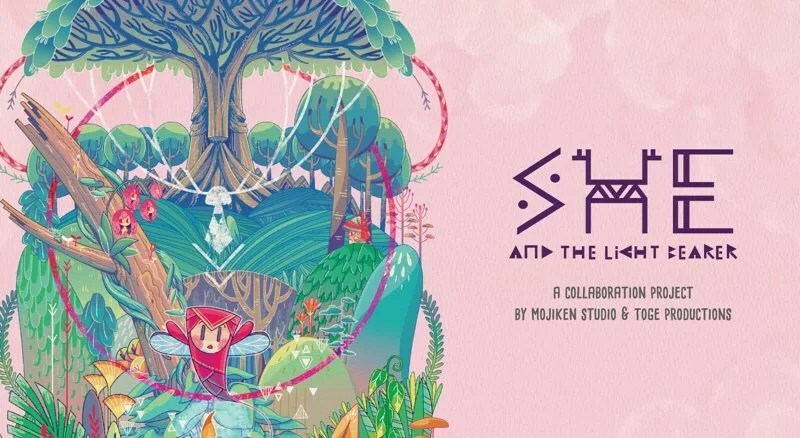 She and the Light Bearer is a blend of a music album and adventure game that borrows its aesthetic from storybook and fairytale. The game put emphasize in the art, poem, dialogue, and music to deliver the experience. This game is developed by Mojiken Studio, published by Toge Production, and composed by local indie band Pathetic Experience. A Space for The Unbound is a melancholic tale about bullying, trauma, and friendship presented in a surreal and fantasy storytelling accompanied with beautiful visual, music, and a story that represents Indonesia in pixel art form. My Lovely Daughter tells a story about a grieving father and his intense love of his late daughter. As an alchemist, players will have to raise varieties of homunculus to help growing the soul to revive your daughter. What are the consequences you need to face? Will everything he does be worth it? Rage in Peace is a story driven action side-scrolling game with elements of surprise and memorization. In this game you will play as Timmy Malinu, a guy that tries to achieve his sole dream, to die peacefully while sleeping wearing his pajamas. To fulfill his simple dream, Timmy has to travel all the way from his office to dreamy surreal world, all for the sake of reaching his house and go to bed, while avoiding all the surprising, trippy, and weird trap prepared by The Grim Reaper do its job. 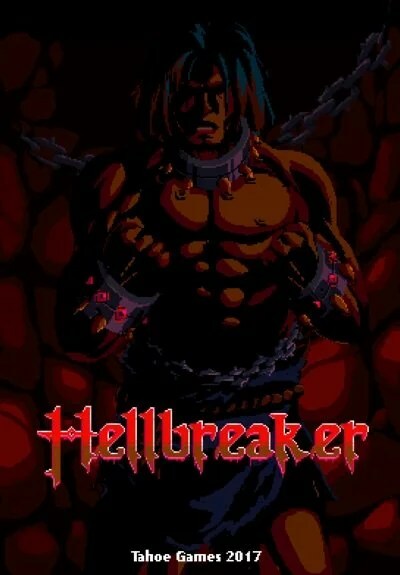 Hellbreaker is a vertical platformer roguelike game about a man that is trying to escape from the depth of hell. Chain combos, upgrade your skills, and jump all the way to pass the purgatory and achieve freedom in this heavy metal pixelated intense adventure. We are also opening a booth at Casual Connect Asia 2017 in Hard Rock Hotel, Singapore from 16-18 May 2017. If you are around the area and want to check the games mentioned above, do visit our booth at Table #904 in the Developer Showcase area.